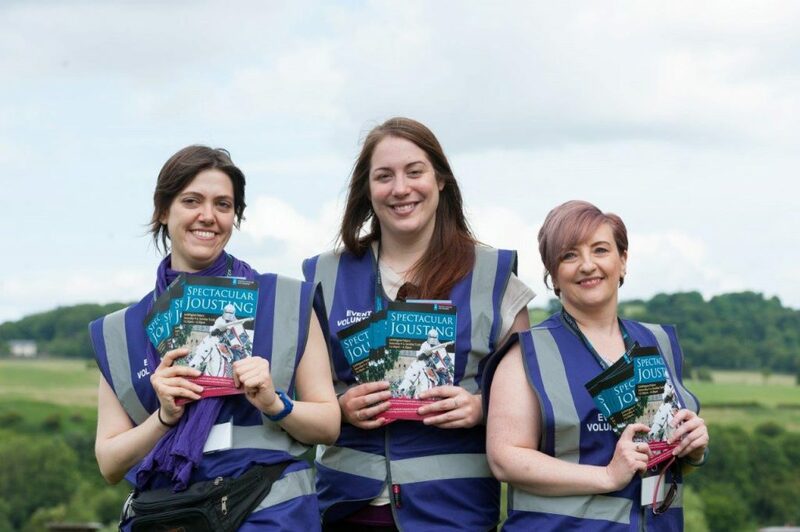 Suzanne McColl (right) has volunteered at several of our events, including Spectacular Jousting this summer. But she not only helps out at our events, no, she also works as a volunteer mentor and regular charity volunteer for other organisations. We’ve talked to her about how she got into volunteering and what it means to her. My name is Suzanne and this is my volunteering life. I remember watching the London 2012 Olympics and realising that the unexpected stars of the games were the Volunteers (or Gamesmakers as they were known). They all looked as if they were having an amazing time and were getting a great reaction from the spectators. They were all working together as a team, almost like a family. So when I heard that the Commonwealth Games were coming to Glasgow I immediately applied. 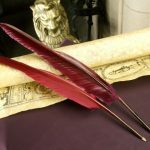 I was so excited when I got the email to say I had been chosen as a Clydesider! I was walking on air when I was going to pick up my uniform! I decided at that moment that whatever I was asked to do my answer would be YES! I was all in and was going to give it 100%! I got everything I wished for and more, I had an amazing time and got to experience two amazing events, the Rugby Sevens and the Athletics in Spectator Services. On my second day I was already asked to be Team Leader! As I hesitated I heard my own voice in my head telling me to ‘say yes’. I went for it and it was one of the best days of my life, I even got great feedback from my coordinator. I met loads of great people – some of whom I am still friends with – we still laugh about the time we got thrown off the medal podium by security trying to take pictures on our last shift! I got that feeling of camaraderie with not just the volunteers but the stewards, staff and police as well; we were all in it together. It was an experience I’ll never forget. 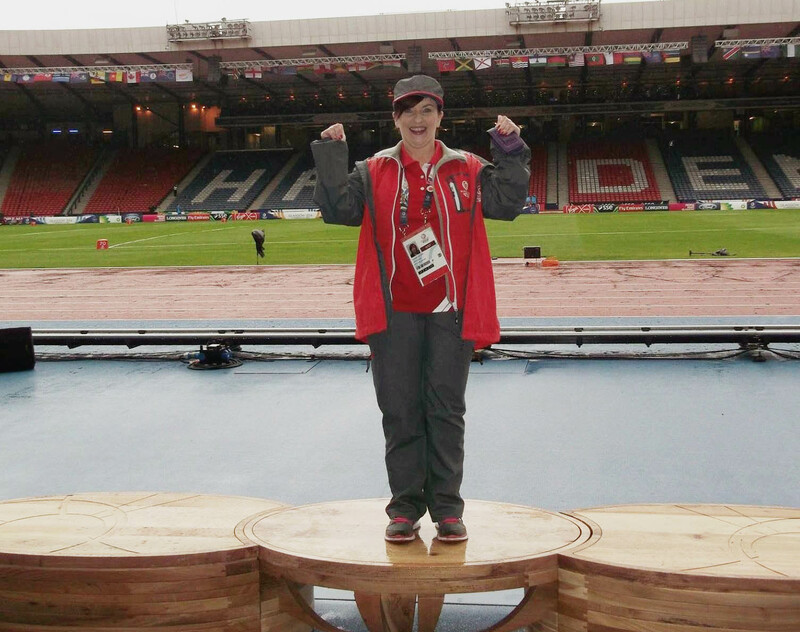 When the games ended I felt flat and I had to get out there and do more, I had the volunteering bug! The first post-games volunteering I did was Race for Life Pretty Muddy, such a fun event! I went on to volunteer regularly at charity events such as Moonwalk, Pink Ribbon Walk, The Colour Run, The Stroke Association resolution run and the Big Swing at the Titan Crane, I even had a go at the big swing, something I would never done before. I’ve volunteered for Triathlon Scotland and the British Heart Foundation Glasgow to Edinburgh Trek where I got to present medals to some very inspirational people. 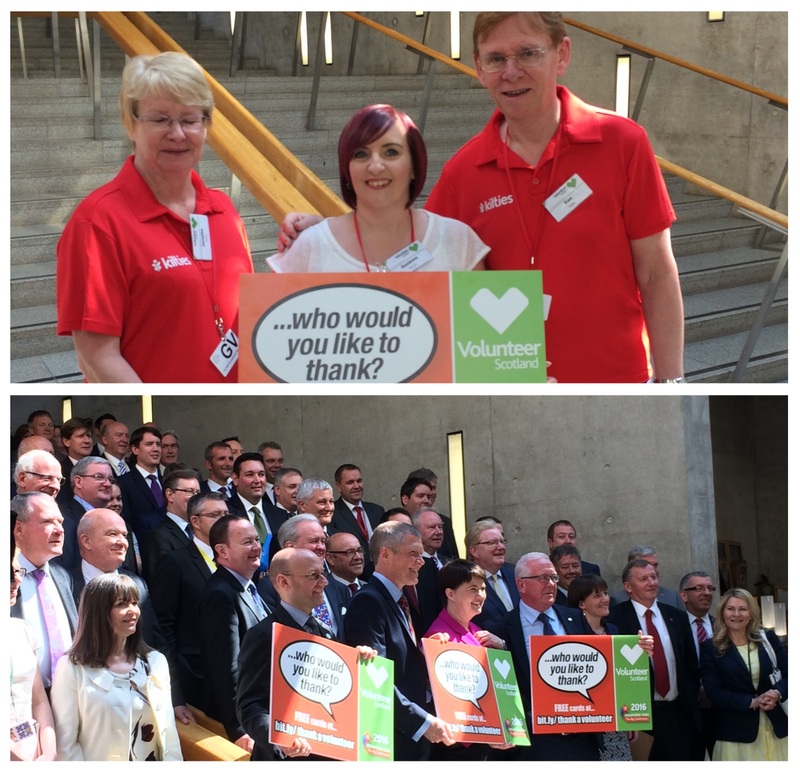 After volunteering for them, the volunteer coordinators at Triathlon Scotland and Kiltwalk recommended me to Volunteer Scotland to be featured in Volunteers Week where I was chosen to visit the Scottish Parliament to meet with MSPs, have some photos taken and promote volunteering. I was so honoured to be asked and it was a fantastic and successful day. All my volunteering has made me realise what I really want to do with my life and has given me opportunities and experiences I would never have got or even known about. I’ve even taken part in a Firewalk for Down’s Syndrome Scotland; there isn’t a chance I would have done something like that a few years ago – again this is my YES mentality that I’ve continued to try and live by since the games. It has really opened my eyes to what is out there and given me the confidence to try and experience new things. Volunteering has made me want to change my career. I would love to eventually work for a charity in a volunteer coordinator role. To help me with this I decided to put myself on courses at Volunteer Scotland and it was on one of these courses I met Joyce Kitching who deals with community engagement for Historic Environment Scotland. As I am a regular event volunteer she was keen to get me involved in the Spectacular Jousting event. I was intrigued! I hadn’t done anything like this before so I applied as soon as I got home that day. The event was fantastic! Great day, great crowds and an all-round amazing event! As we were the first event volunteers we got plenty of pictures taken and are featured on the volunteer handbook and on website posts. I would say that what I enjoyed most was working at admissions and handing out the flags as this let me interact with the visitors and chat to people. After the Jousting I volunteered at Craigmillar Castle at the crafts and skills event and couldn’t wait to come back again and volunteer at the Jousting this year. Joyce (this year) and Amy (last year) looked after us very well, got us lovely food, and gave us good breaks and role rotation and even a nice tour of the site. Joyce really listened to our feedback and let us take on the roles we were best suited to. I would recommend volunteering with HES to anyone as it’s really enjoyable and rewarding. Plus, where else would you get to work at such beautiful amazing locations?! The staff are also great – I got on so well with them and they seemed happy and impressed by our contribution to the event. I also felt that my contribution was making a small difference to helping to get people interested in their local history and historic environment, which is obviously important. I would say to anyone who has never volunteered to try it: you never know who you could meet, where you could visit and what opportunities it could lead to as well as it being very rewarding and fulfilling. I have a full diary most of the time between mentoring and events and I’m always on the lookout for more! It is something I am very passionate about and I have the confidence to say it’s something I’m good at. I’m hoping to make it my career and when I get there I will always continue to volunteer as so many events couldn’t go ahead if we didn’t get out there and do our wee bit. 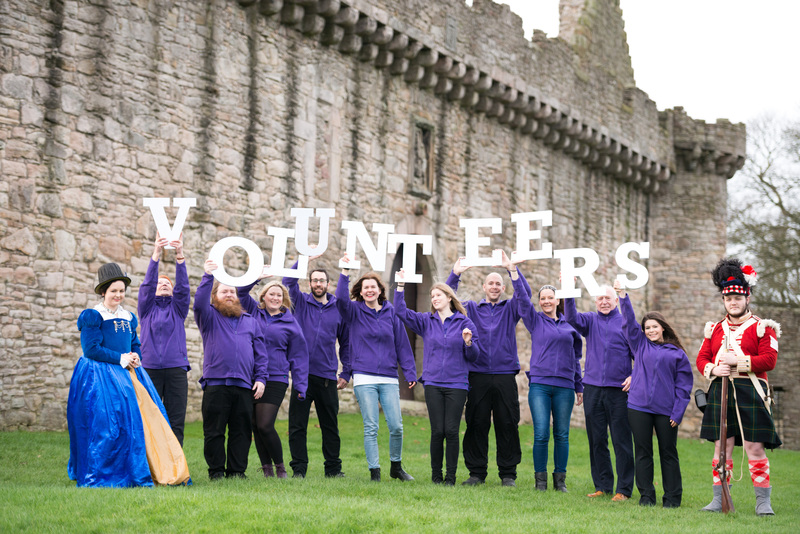 We offer a range of volunteering opportunities at sites, events and with our rangers. Right now we’re looking for volunteers for Doors Open Days at the Engine Shed in Stirling!